There are flavor combinations I have a hard time not repeating all the time. This salad is fairly indicative of one of my favorites: carrots and curry. I’ve made curried carrot soup, a split pea curried carrot soup, and I’ve been tinkering with a carrot curry for an eBook I’ve been working on. The earthy, slightly sweet flavor of the carrots is a lovely compliment to the spice from the curry. 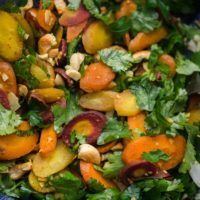 A flavorful vegetable-based salad using carrots roasted with coconut oil and curry powdered then tossed with fresh herbs, lemon juice, and toasted cashews. Preheat oven to 400˚F. 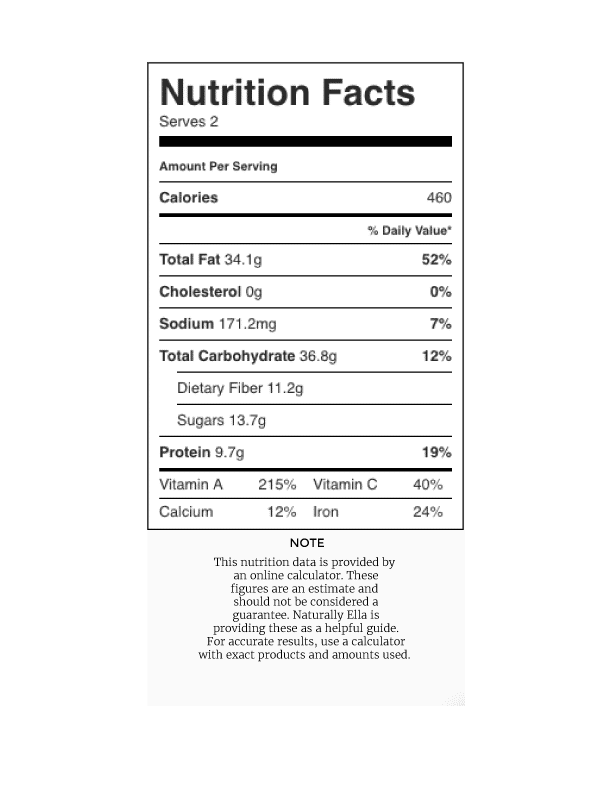 Cut carrots on the bias in ¼” slices. In a roasting pan, toss with the melted coconut oil and the curry powder. If your curry powder doesn’t have salt in the mix, add a pinch to the pan. Toss until the carrots are coated with the coconut oil and curry powder. Roast until the carrots are tender, 25 to 30 minutes. Let cool slightly. Heat a small skillet over medium-low heat. Add the coconut oil followed by the cashews. 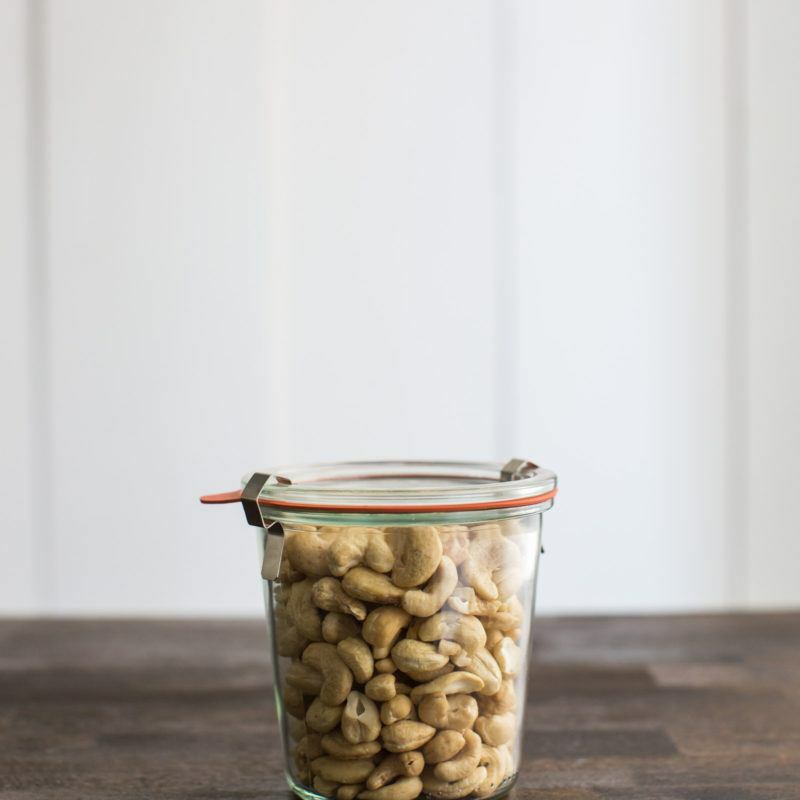 Toast, stirring frequently, until the cashews are browning, 2 to 3 minutes. Remove and set aside. Wipe out the skillet and add the coconut flakes. Toast the coconut until golden. 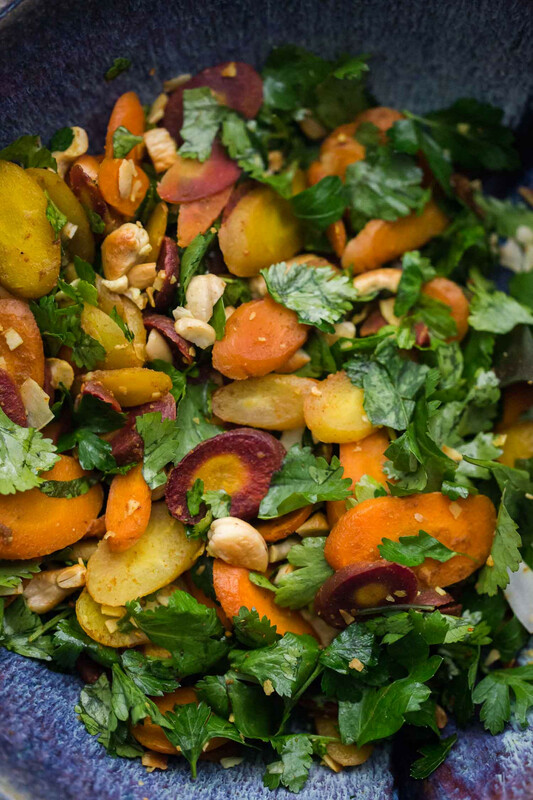 When the carrots are done, place in a bowl along with the toasted cashews, coconut flakes, parsley, and cilantro. Add a pinch of salt as needed and squeeze a half of lemon or so over the carrot salad. Toss until everything is well combined and serve. Tips & Tricks: Make your own curry powder blend or find one from a quality source. I like finding a spice shop and trying different blends. I don’t peel carrots. Instead I give them a good scrub and that is usually just wha they need. Add Greens: Make this a bit more of a traditional salad by adding lettuce, spinach, or shredded kale. You can also whip up a lemon-vinaigrette for dressing. Add Grains: If I’m making a real salad out of these curried carrots, I also like to add a handful of cooked grains like quinoa or millet. Swap Produce: Sweet potatoes or cubed butternut squash work well in place of the carrots. That salad looks so delicious!!! I like to add parsley and cilantro to most of my dishes. Thanks for sharing!!! Yummy salad – made it for dinner last night! Added a big handful of arugula to expand the salad part. Brought for lunch yesterday and was great the day after as well!